Allie has been one of my dearest and best friends since the age of about 13, and she ended up being my very first visitor from home! I planned out our eight days of fun and this is how they went. Allie arrived in the morning and my dear Erin was kind enough to drive so we could pick her up from the airport. I was determined to keep Allie busy until a normal bedtime so jet lag wouldn’t be calling the shots for her. 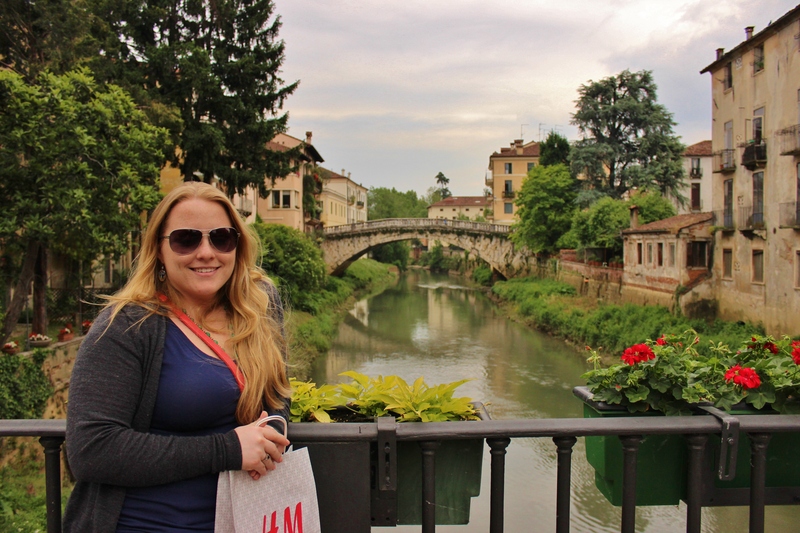 We went downtown and I showed her the sights of Vicenza. 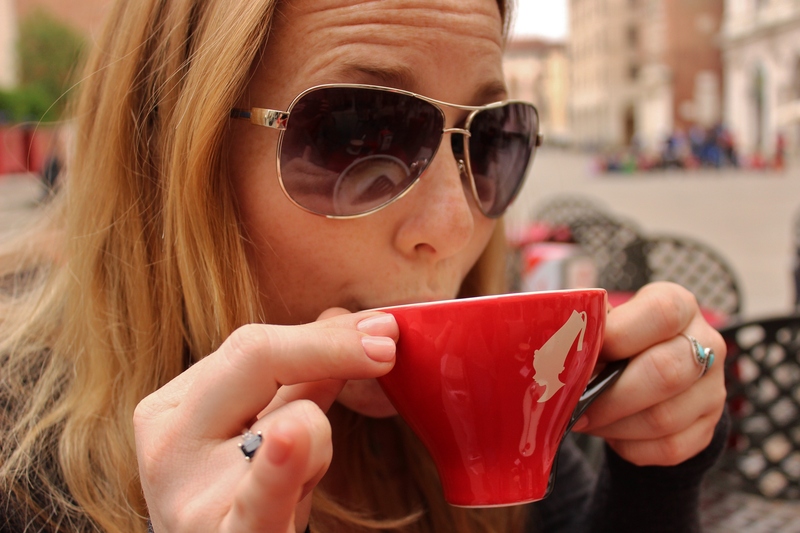 Allison also had her first true Italian cappuccino. I think she liked it. We planned to eat dinner downtown, but while we walked around looking for a restaurant, Allie got sleepier and sleepier and some cold dark clouds rolled in. Our fun was spoiled. So instead we went back and ate at restaurant close to home. Not exciting. Not even a little bit. In fact, it was a disappointment and definitely not something I’d pay to see. But curiosity got the best of us, and that’s obviously how they make their money. If you really want to see inside, go to a play or music event instead of paying to look at modern seating. 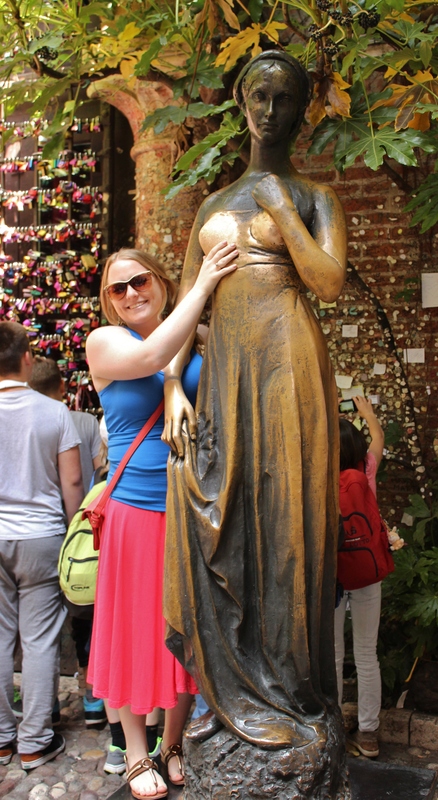 Next we went to Juliet’s house and Allie made sure to touch her tatas for good luck before we went in search of lunch. Lunch was a difficult affair. We wanted to find a place on the river, on the north side of the city. But there was a disturbing lack of them. Finally Allie spotted a place and somehow I ended up getting the best panino of my life. The restaurant was Bar al Ponte, if you feel like finding it. The view couldn’t be beat either. 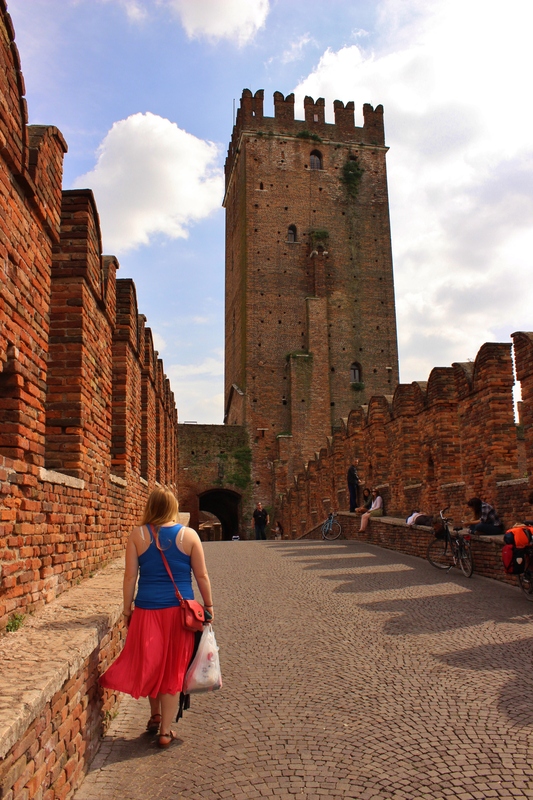 Then we decided to head to Castelvecchio, which is now a museum in an old castle on the river. We didn’t actually go in because we (Allie) had already spent a good amount of money on souvenirs. Luckily, the old crenelated bridge that’s part of the castle is open to the public. After playing at the castle, we finally headed home to rest our tired feet. 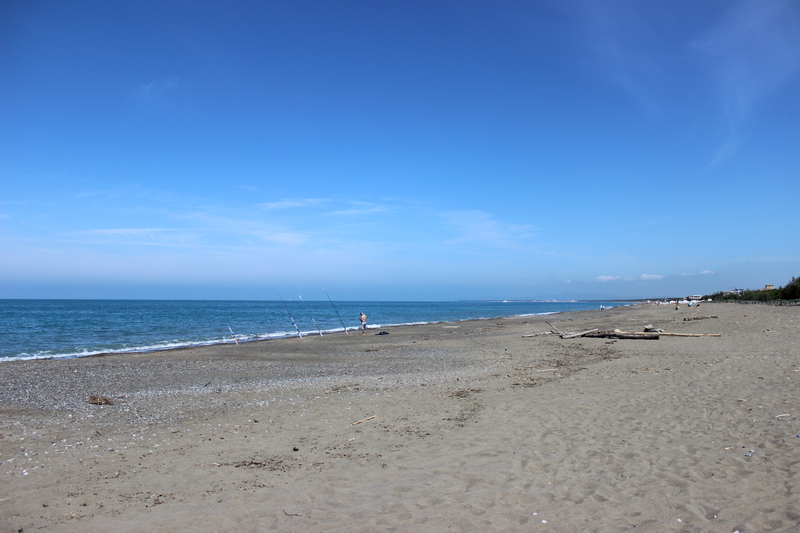 Days 3-5 – Tuscan Beach Weekend! 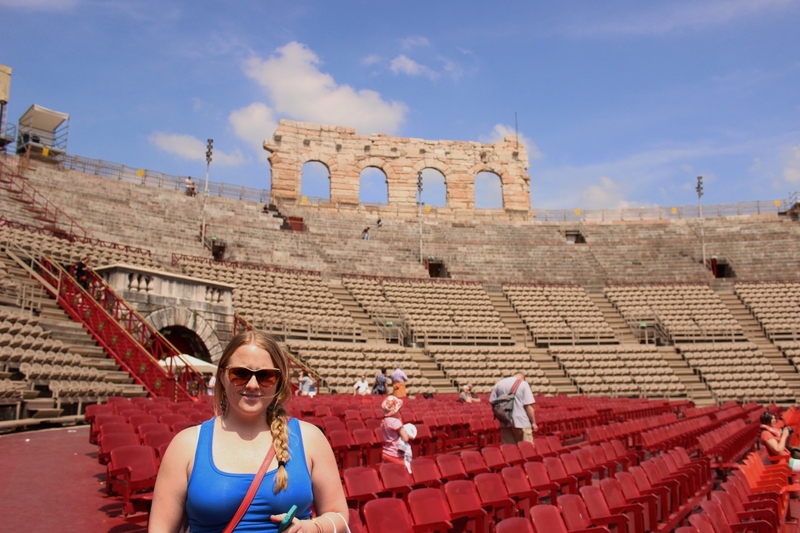 I had signed Allie and myself up for a Tuscan beach weekend trip through Outdoor Rec, and Friday afternoon we finally got to leave for it! 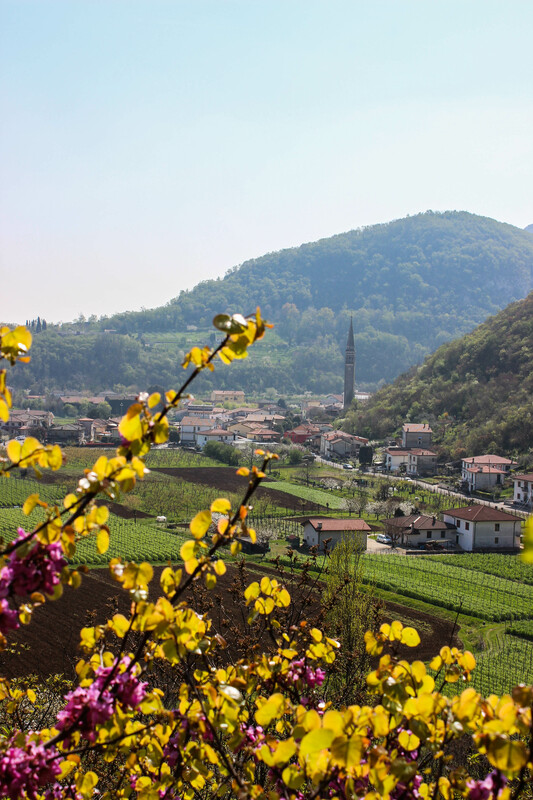 It was about a 4 hour drive to Vada, a town just south of Pisa. 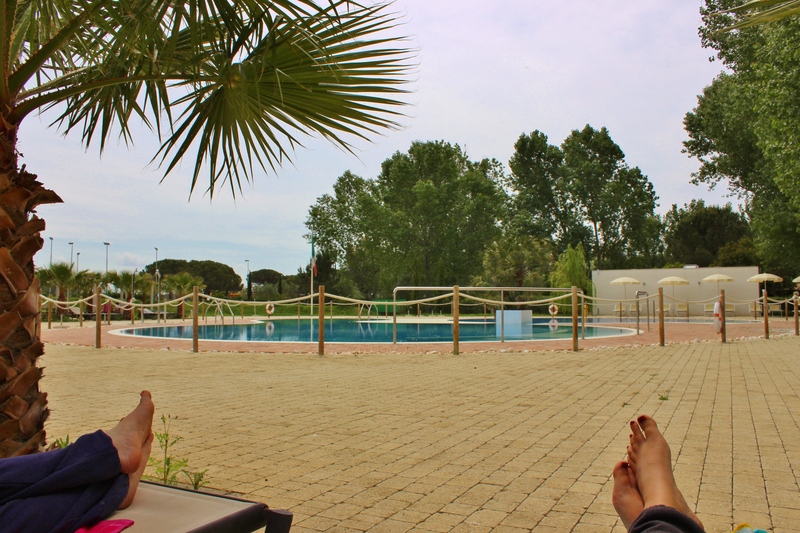 We stayed at a “glamp” site (glamour camping) called Molino a Fuoco (Literally “mill of fire.” Not sure what that means.) where we had a cabin to ourselves, complete with a front porch. The bedroom was small, but the bed itself was roomy and besides, it wasn’t the first time Allie and I had cuddled before and it wouldn’t be the last. 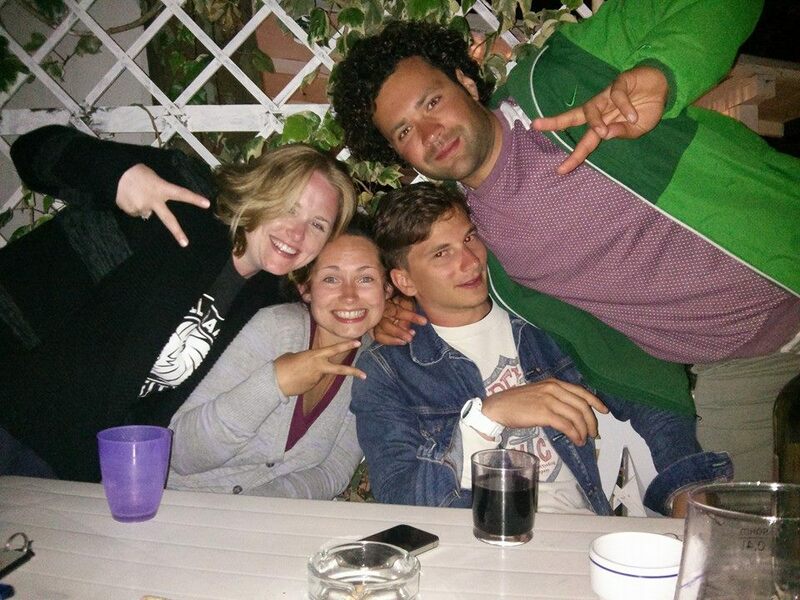 We got in late but stayed up a while and mixed with the other people on the trip over wine before hitting the sack. 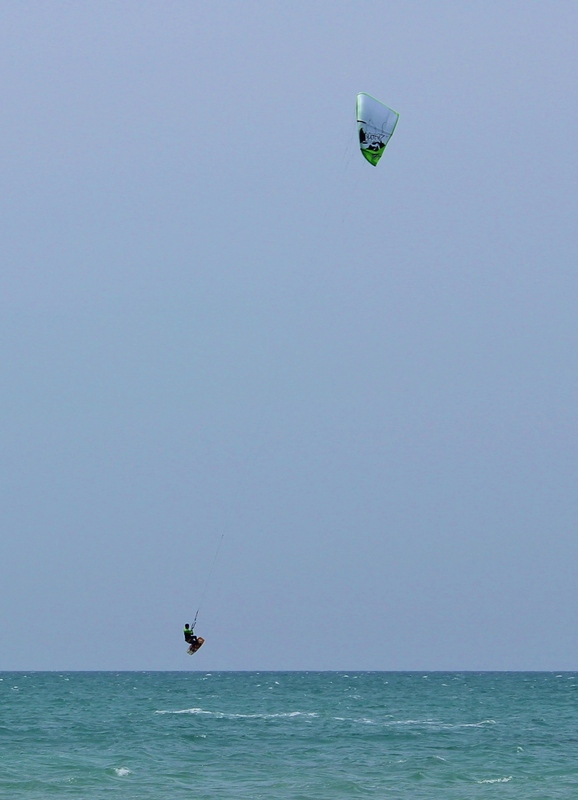 In the morning we went to the nearby public beach where our Italian instructors could teach the kitesurfing lessons. Allie and I didn’t sign up for these lessons because contrary to popular belief, we’re not actually made of money. 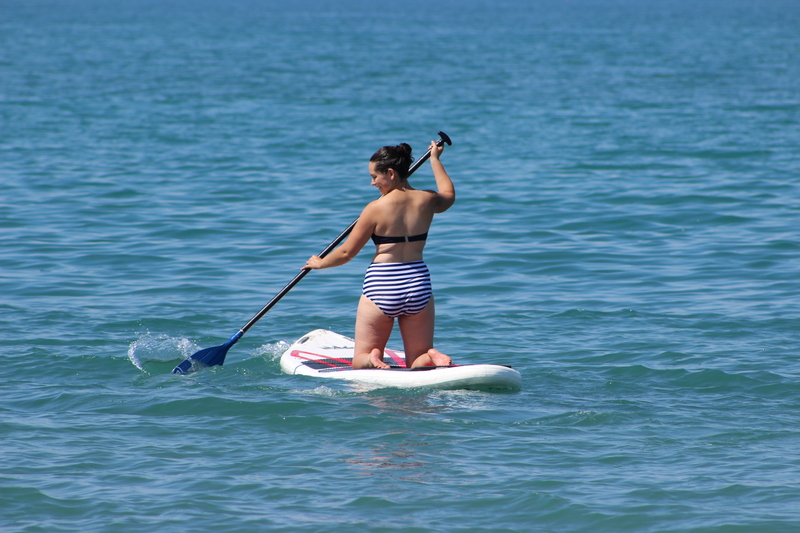 Instead, we blew up the inflatable paddle boards and tried our damnedest to stay afloat on them. Naturally, I chose the board that hadn’t quite been blown up enough. I managed to stand for about a second and a half, but we spent most of our time just laying down, letting the waves push us toward the beach. By the end of the day we had acquired spectacular sunburns and were ready for the good meal and good drinks that ensued. The poor park attendant had to come and shush us all at least twice, but it was worth it. We made a bunch of new friends. 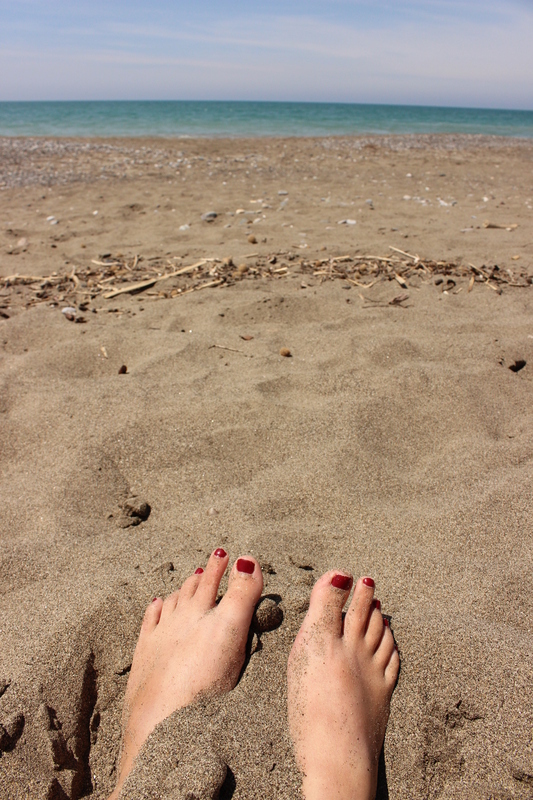 The last day came with clouds and chilly breezes, so playing at the beach wasn’t very appealing. We watched the kitesurfers while they had their last lessons, but then retired to the pool where Allie snoozed and I read my book. As inviting as the pool was, the weather was not on our side that day. Finally in the late afternoon we packed up and headed home to Vicenza. 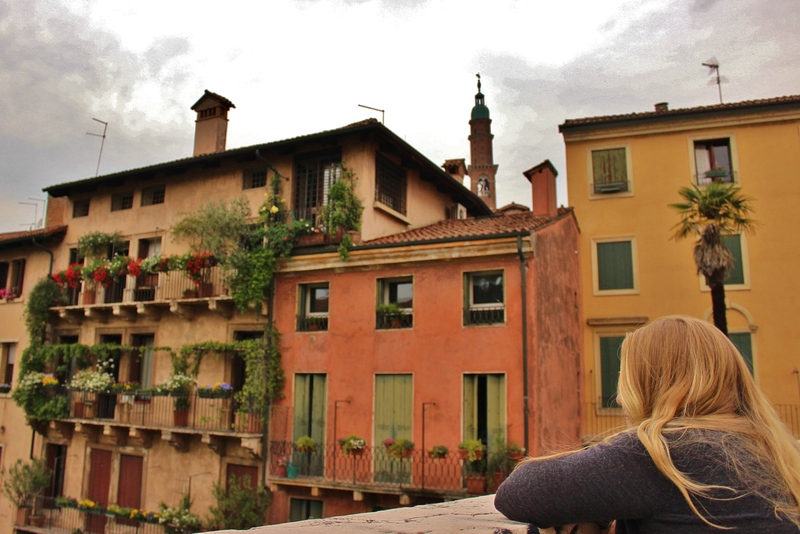 Firstly, did you know you can see the alps from Venice?! Because I didn’t. I’ve been a few times now and it had never been clear enough to see as far as we did this day. 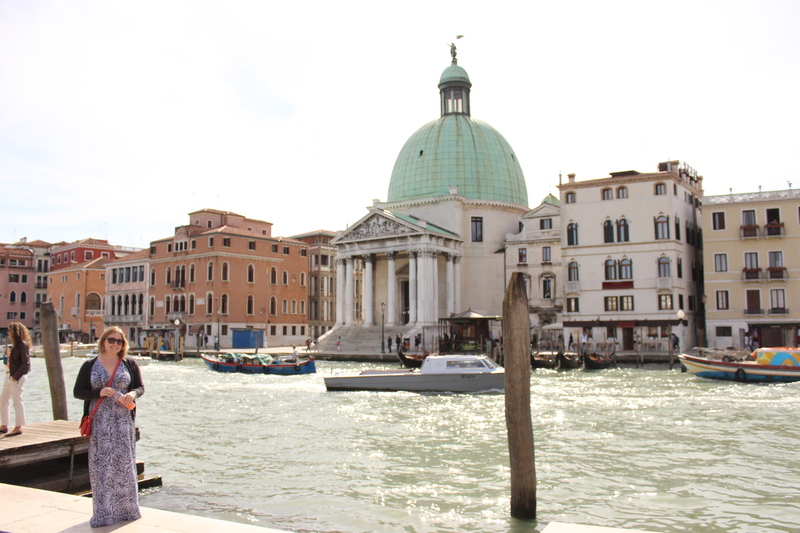 Allie and I got up bright and early to go to Venice with ERIN THE BIRTHDAY GIRL and her friend Rachel. 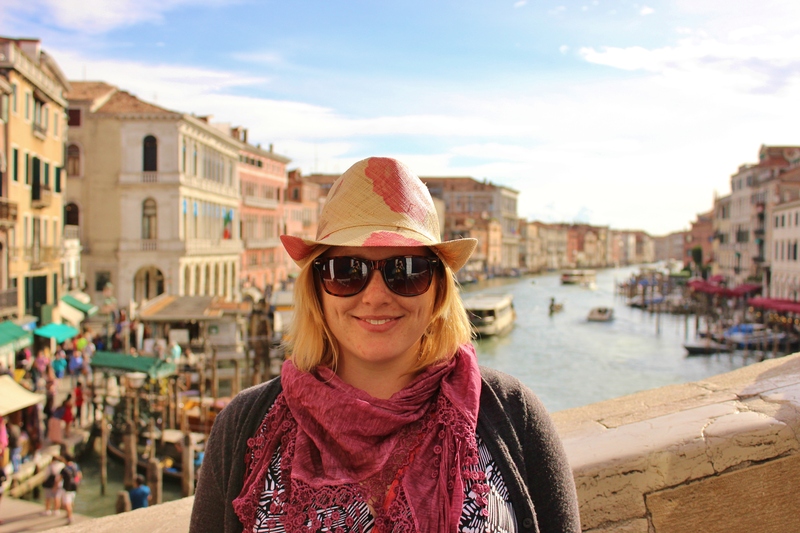 I wanted to recreate the Spritz Club’s trip to the Venetian islands of Murano and Burano, frankly because they’re fantastic to visit and I wanted Erin’s birthday to be fantastic too. Once again, we waited FOREVER to get on a vaporetto to Murano, but once that was done the rest of the day was a breeze. We got to see some glassblowers at work, which was fascinating, and Allie got to do some serious souvenir shopping. Erin’s Fun Fact! 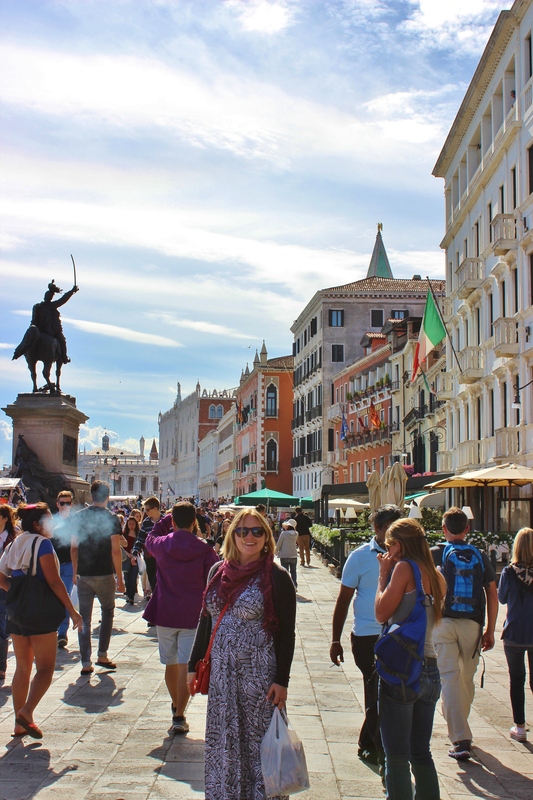 : Apparently, all the glassblowers used to practice their trade on the main island of Venice until the city decided they were going to burn the whole place down. 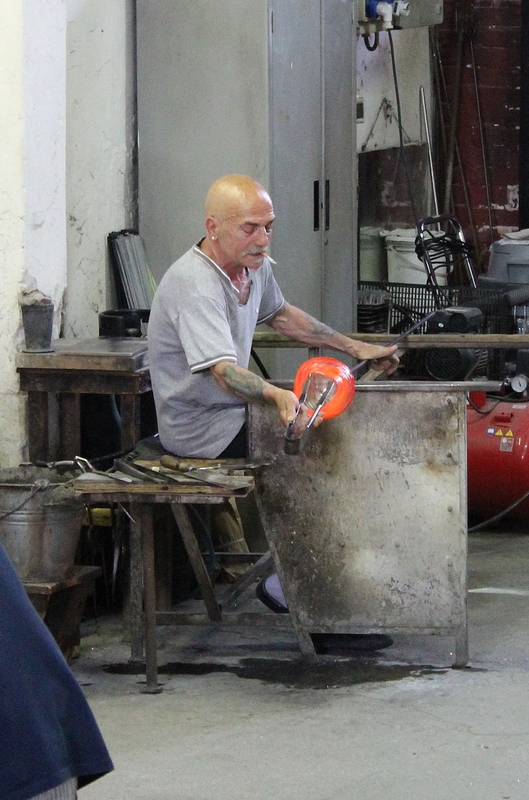 They were then banished to Murano so they couldn’t do any damage with their dangerous craft. 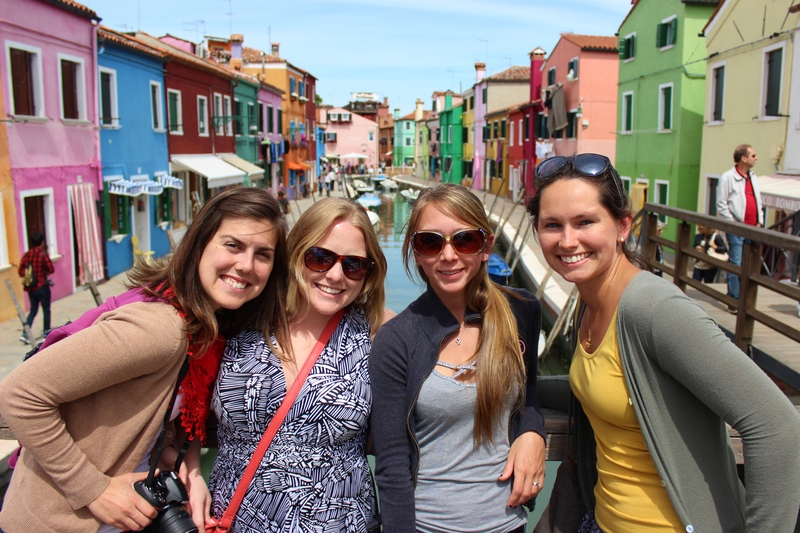 After that, we hopped over to Burano which Allie heartily exclaimed was her favorite place. 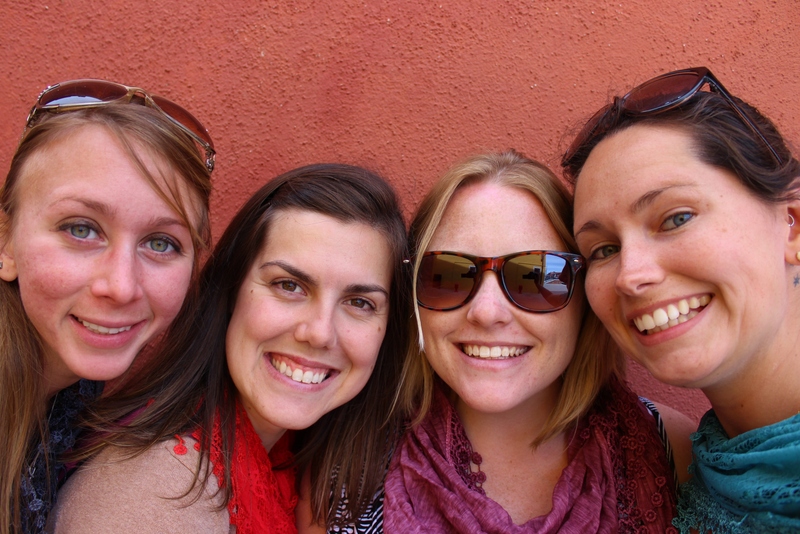 As you may recall, Burano is known for its lace, and we all walked away with new scarves. Erin’s Fun Fact! : The houses of Burano were originally painted such vibrant colors because the men of the island were fishermen; their wives would paint their houses while they were away so they would know which house was theirs after a long fishing trip. 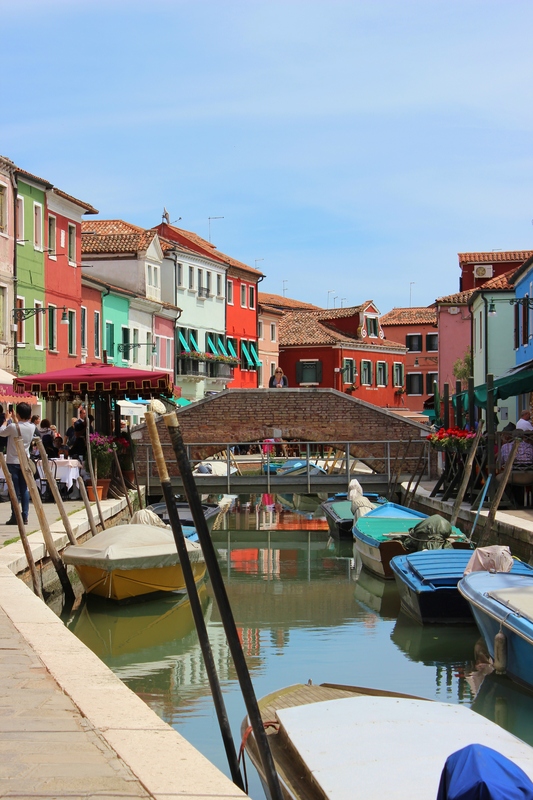 Today the tradition lives on, and to paint your Burano house you need to apply to get your color choice approved! 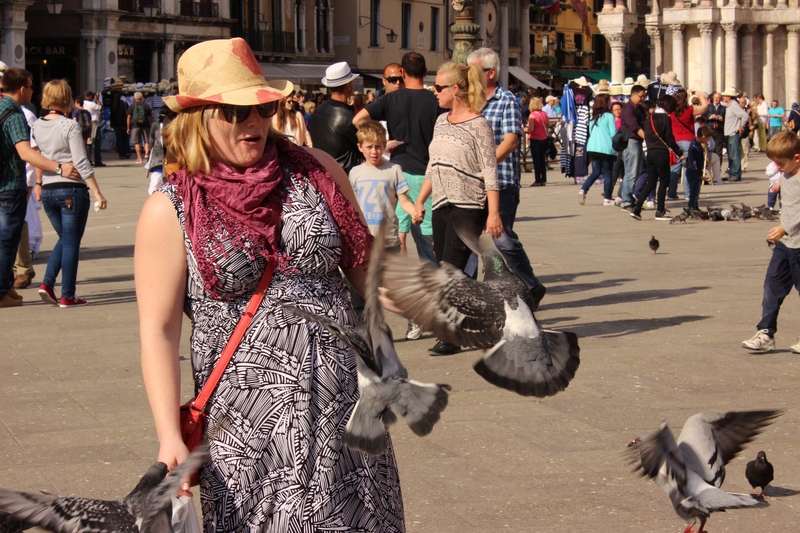 Then it was off to Piazza di San Marco and the major sights of main Venice. The vaporetto ride from Burano to San Marco was a long one, but with the beautiful weather and the outside seats at the back, we enjoyed every minute of it. 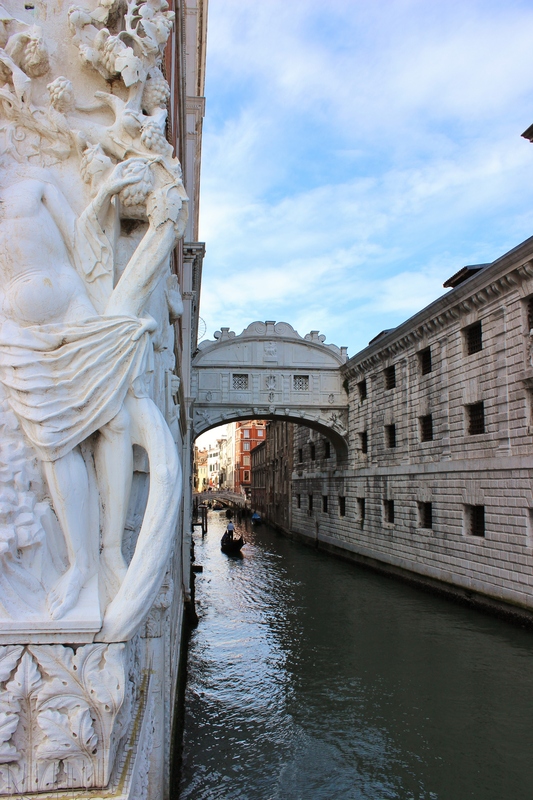 Once back on land, we came to the Bridge of Sighs first. Erin’s Fun Fact! : The Bridge of Sighs is supposedly named because it was from here that prisoners saw their last view before going to their cells. 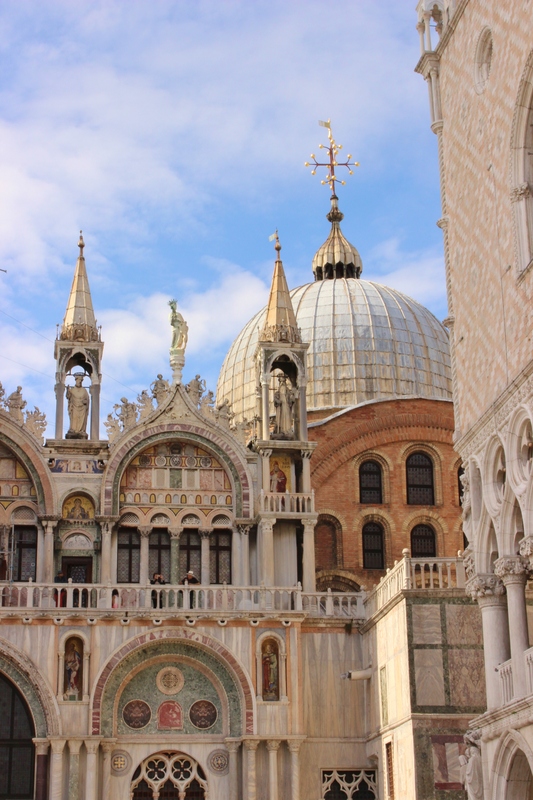 They would sigh at their beautiful Venice as they crossed from the interrogation rooms of the Doge’s Palace to the prison on the other side. 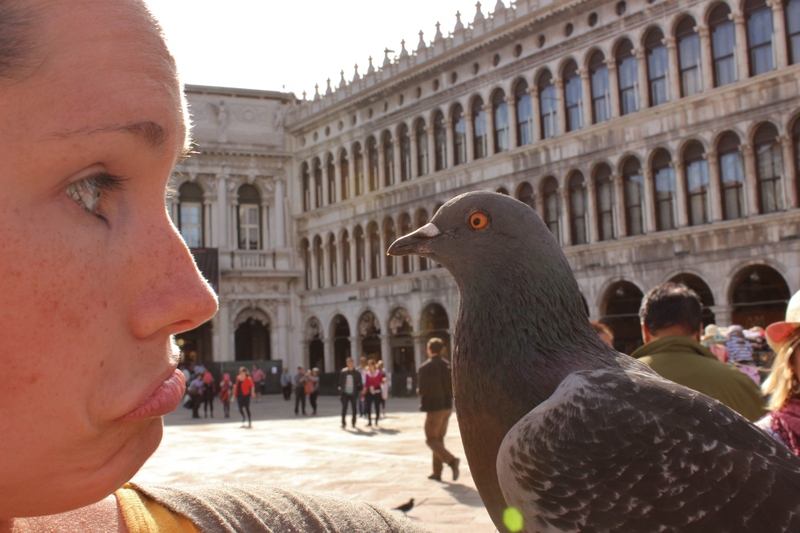 And it was on to the Piazza and the famous pigeons! We were smart (Erin was smart) and brought our own popcorn instead of paying the swindlers in the square for every handful. I highly recommend it because these guys will just come up to you and stick popcorn in your hand, and then ask for money afterward. If you DO bring your own, don’t let those guys try to take it from you. One of them asked me for some popcorn while I was holding the bag and I barked, “No! It’s ours!” I felt a little Gollumesque, but not necessarily in a bad way. 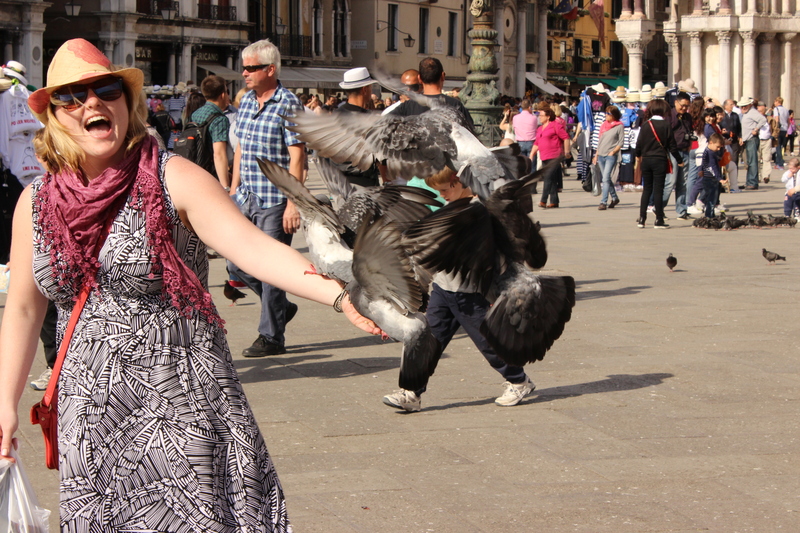 In the end we had a bunch left and started handing it out to others and throwing it on the ground to see the pigeons swarm. On the way to the Rialto Bridge we stopped and got some macaroons. You know those brightly-colored cookie things? Well it was the first I’d ever tasted and OH MY LORD. If heaven were a baked good, it would be a macaroon. And we finally made it to the Rialto before heading back to the train station. 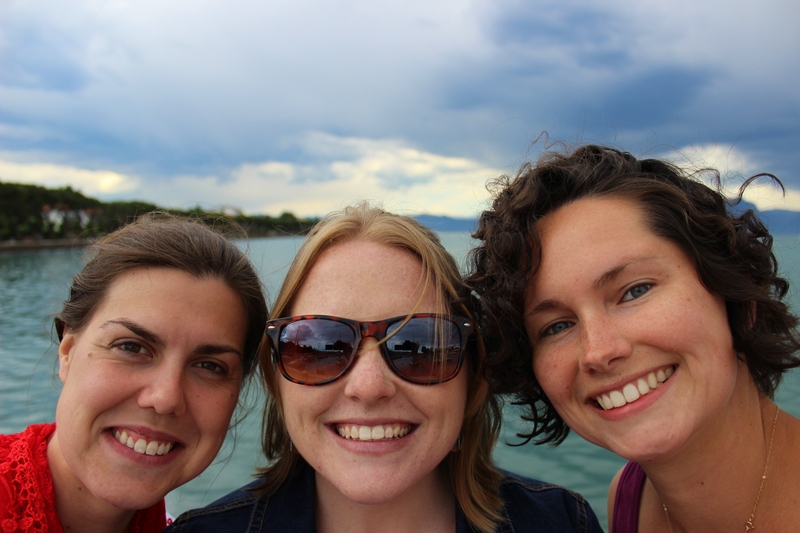 I don’t know if the other ladies realize it, but we spent 10 whole hours in Venice, not including the train there and back. That is a long day. But we had a great time and for Allie’s first visit, I think it was pretty thorough. 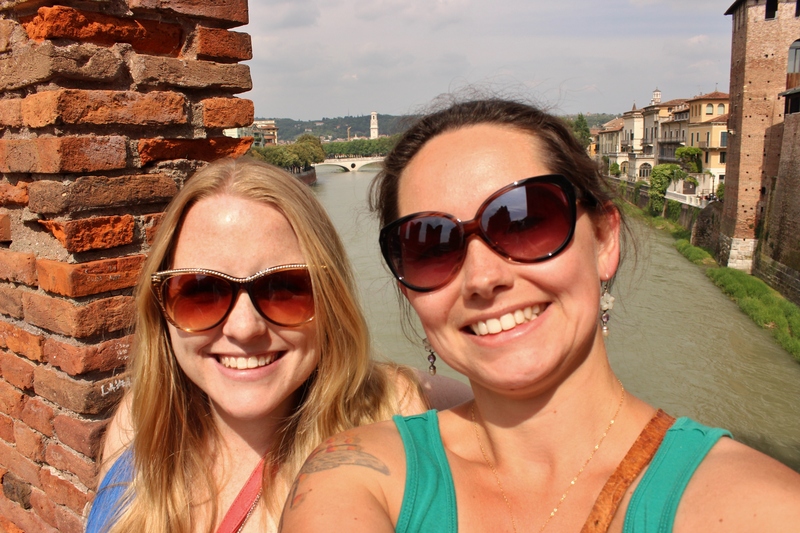 On Tuesday, we had planned to get fish pedicures in Vicenza with some friends. We drove to the address only to discover that the place no longer exists. So instead, we went to Enomas winery and showed Allie a good time of wine tasting. Grab your glass, Allison, and hit the vats! I think she enjoyed it, and got a couple bottles to bring home. It was a much-needed easy day, ending with dinner out. 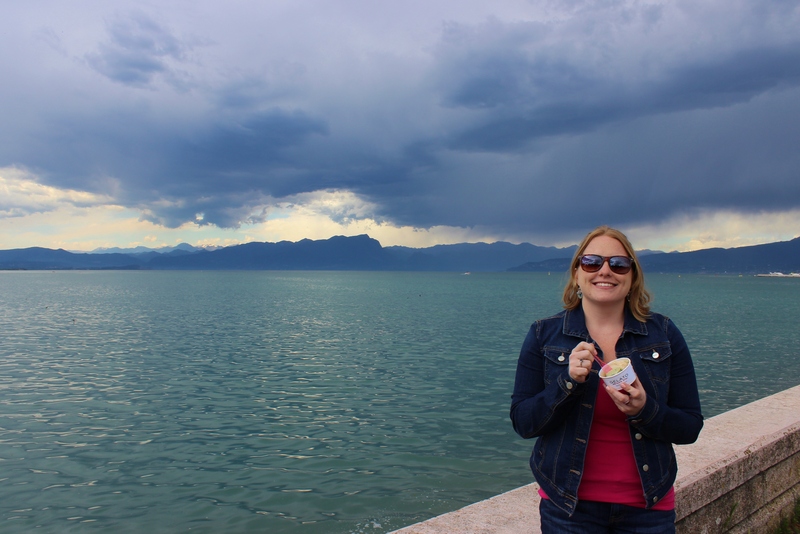 For Allie’s last day, I planned a relaxing day at the thermal spa next to Lake Garda. Erin and I had been wanting to go since we met, and finally we did it. The address they have listed doesn’t come up in GPS systems, so we put the next closest one, which brought us to the wrong place. 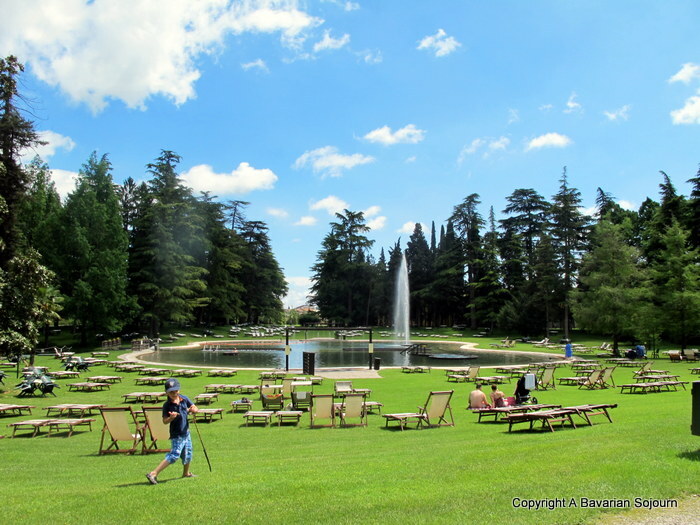 Luckily there were signs to Parco Termale (thermal park) and Villa dei Cedri. Well those got us even more lost. Finally, we ended up back where we started and looked UP. There was a big sign for the thermal spa. We had driven past twice and not seen it because the sign was way above our heads. Genius. Once we finally found the stupid place, we paid €24 each to enter and another €4 for parking. Yeah, it’s not cheap. Inside, there are two tiny thermal lakes (they’re pond-sized, really) where you can freely swim and sunbathe. There are also residences for those staying at the villa/spa. These lakes run at about 80*F and had hot tubs (102*F) and fountains and jets all over the place. 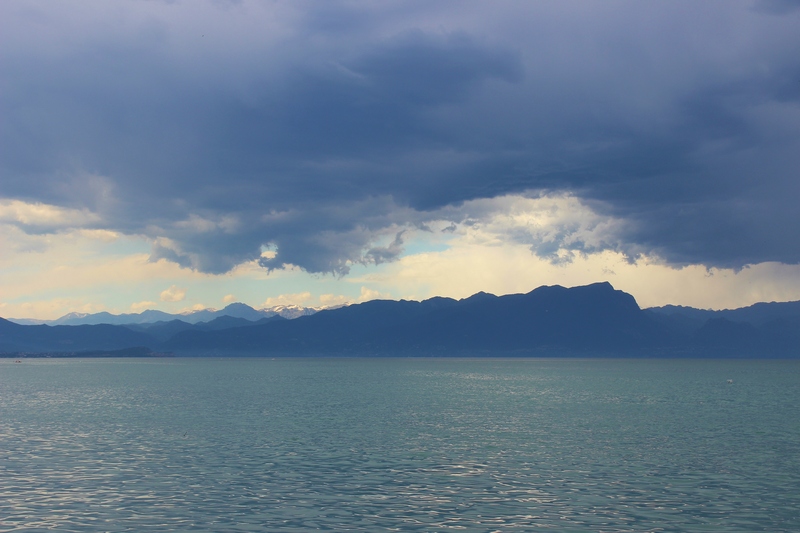 As soon as we got into the water, the clouds rolled in and the sunny day turned chilly. We probably had about 20 minutes in the water before we got out to dry off and drive home. The €24 entrance fee IS worth it, IF you make sure to pack a lunch and go on a gorgeous day so you can really get our money’s worth. That’s our plan for next time. 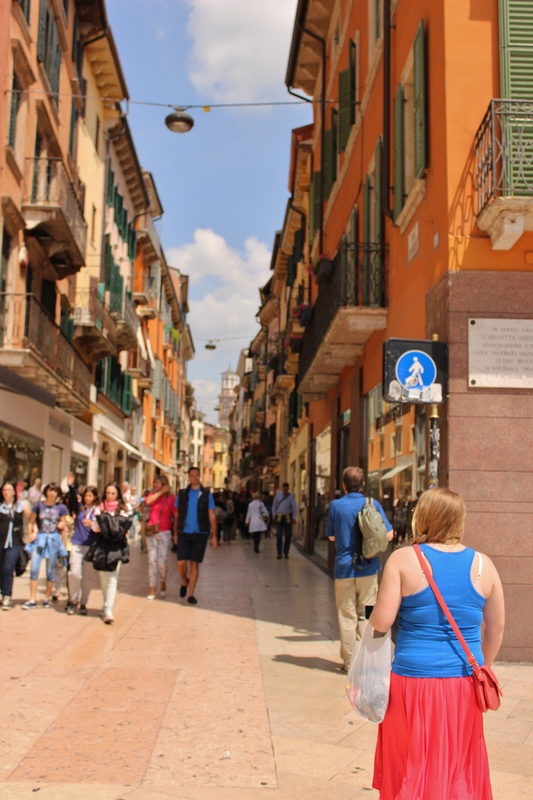 After we left, we still wanted to check out the town of Peschiera del Garda on the lake. 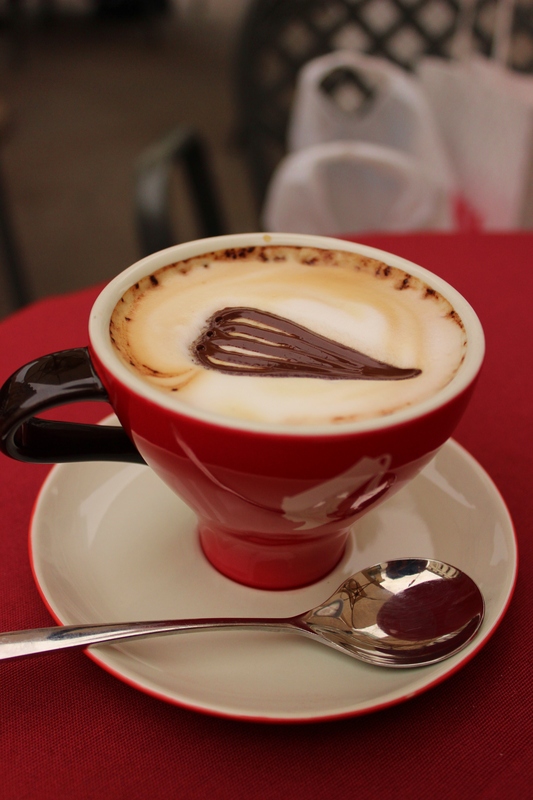 We found parking on the water with gelato artigianale (artisan gelato – the really good stuff) right across the street. It was perfect. And despite the weather’s disruption to our spa day, I had to admit the storm coming over the mountains was pretty breathtaking. 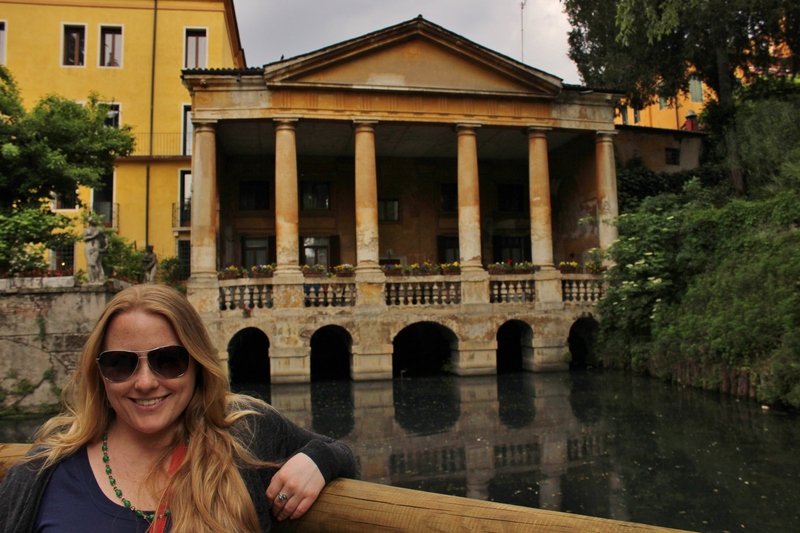 Dinner was at Erin’s favorite pizzeria and beer house, La Vera Birreria in the Colli Berici. I’m not much of a pizza person, but damn was that good pizza. It was a delicious farewell dinner. Allie hopped on the airport shuttle bright and early the next morning. We miss you, Aunty Allie! 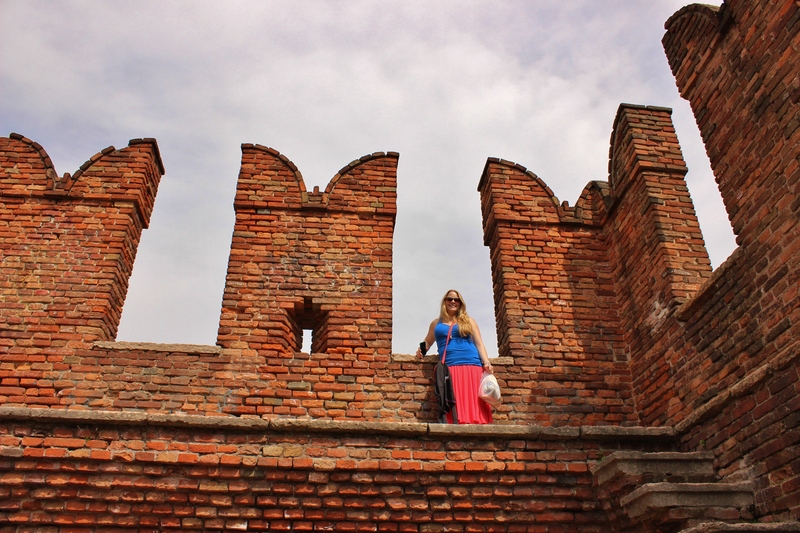 This entry was posted in Italy, Travels and tagged alps, beach, Burano, destination, Italy, Lake Garda, mountains, Murano, Romeo and Juliet, spa, thermal, travel, Tuscany, Venice, Verona, Vicenza. Bookmark the permalink.